YIR Readers have asked about how We maintain the extensive wardrobe We display in our blog. Do We send it to the cleaners, or what? Are they Paris originals? We at YIR chuckle. That is because all our outfits, however ravishing, are entirely Imaginary. Rhinos don’t own Anything, as in Nothing Whatever. We just include them in our posts for fun. 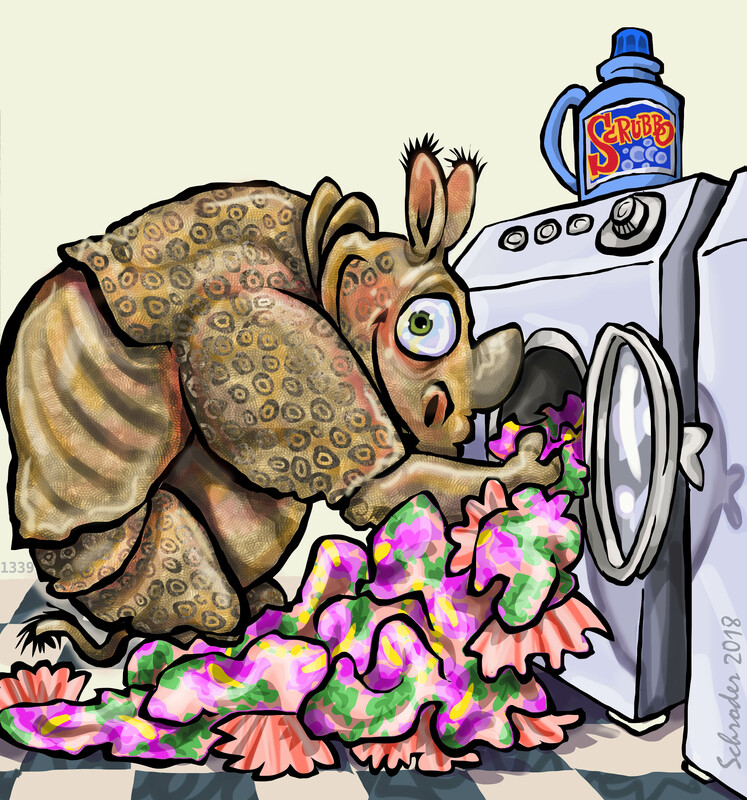 With Imagination We can Imagine laundering just as easily as We Imagine the outfits themselves.